Let us look after you for your special event. At St Robert’s Centre we are committed to hosting great parties. Whether you’re looking for something simple for a small family gathering, or you’re organizing something larger, we can help. 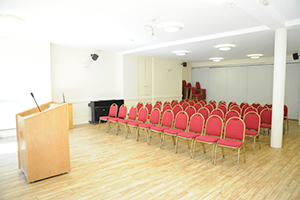 The Centre can provide the venue for an all-day event or a quiet family gathering with just family members and friends. We have an hourly tariff per room and there are no hidden extras in our pricing system. 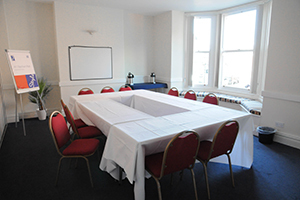 Our large ground floor room is especially suited to parties of up to 80 guests and provides a bright, airy venue for your event. It has easy access to a large fully equipped catering kitchen, excellent adjoining rooms and fantastic facilities that will enhance even the smallest of functions. 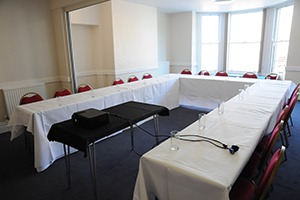 The York Room has a capacity of 80 people and can be extended in to the Ripon room next door by opening up the adjoining dividing walls to increase the capacity to 100 people. This creates an even bigger space and gives you the versatility you need. 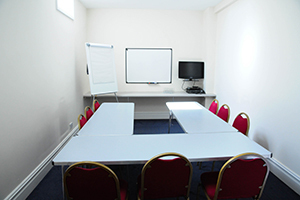 All our rooms can be set out in whatever layout you require. We are here to help with your personal requirements to make your event run as smoothly as possible. We hope to be welcoming you soon!